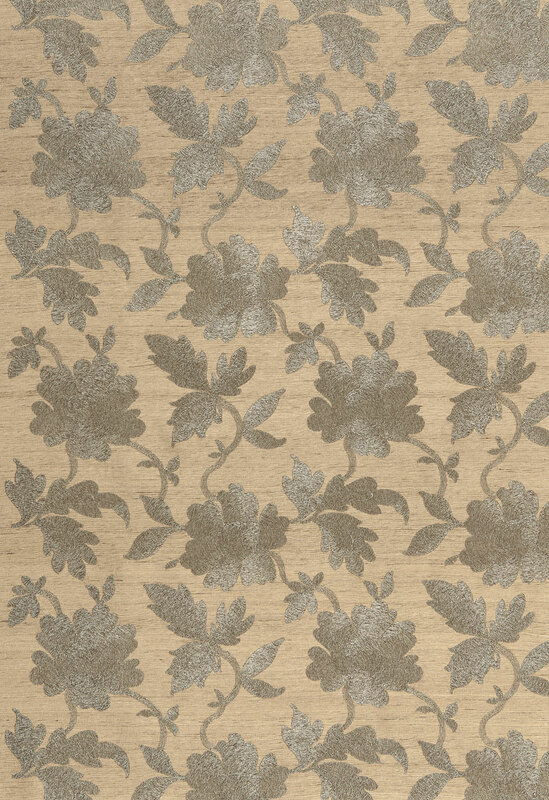 Moon Garden is composed of a shimmering, silhouetted floral vine embroidered against a natural tussah silk ground. The pattern's soft sheen contrasts with the texture of the rustic, raw silk weave, creating visual interest. 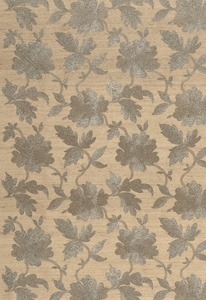 Perfect for pillows and upholstery, it is available in two soft neutral and natural shades of pewter and champagne. This fabric contains natural tussah silk and metallic yarns. Variations are part of the fabric's inherent beauty and should not be considered a defect.